Visit your local home improvement or discount store, and you will find a large selection of sprays, pellets, and applications for your home�s pest management needs. While these products may be effective at deterring or killing pests, they contain toxic chemicals that are too harsh to have in your home and around your children and pests. Thankfully, safer alternatives are available. Here are a few kid-friendly, healthy, and effective options to rid your home of pests. A basic�can of bug spray is useful in a variety of situations. 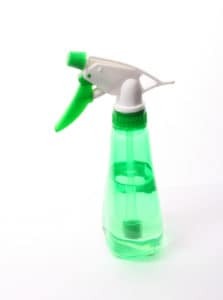 Douse your home with this safe and natural spray to repel ants, cockroaches, and spiders or spray around your outdoor living area to deter mosquitoes and protect your skin from annoying bites. You can also spray this solution directly on clothing to repel bugs. In a spray bottle, combine 2 ounces of witch hazel with 2 ounces of distilled water. Then, add 20 to 25 drops of your favorite essential oil to the bottle. This is the recommended amount of oil for use around children three years of age and older. If you are using the spray on adults, add 40 to 50 drops of essential oils. Peppermint, rosemary, citronella, and lemongrass are all great essential oils to consider. These oils may be appealing to humans, but insects find the aromas rather unappetizing. 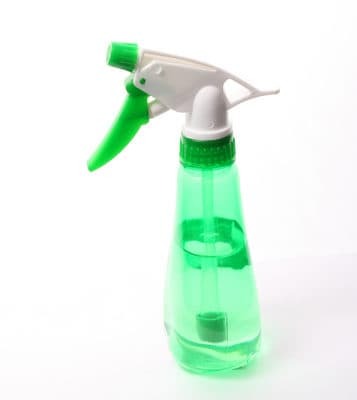 Before applying the spray to your home or clothes, make sure to shake the bottle. Shaking will ensure the oils mix into the witch hazel and water solution. Many essential oils deter pests. However, some essential oils work better than others in pest deterrence�and protection. A mixture containing 20 drops of lavender, 20 drops of lemongrass, and ten drops of peppermint also works well. You can also consider using 20 drops rosemary, 20 drops cedarwood, and ten drops of peppermint essential oils in your spray bottle. There are numerous oil combinations to use around your home. Essential oils will not affect your breathing, skin, or harm your children or pets in any way. You can rid your home and outdoor area of pests without toxic chemicals. To learn more about safe, effective pest management that is pet and kid-friendly, contact the professionals from Safe Pro Pest in Frisco, TX at (972) 435-0700.